Are you afraid of the dentist? 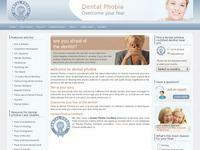 Thousands of people all over the world suffer from some degree of dental phobia or anxiety. If you have this fear, this website can help you to learn how to overcome it. It provides you with the latest information on how to overcome your fear of the dentist. They have a panel of experts who have a great deal of experience of dealing with phobic patients. Dr. Jan Linhart, D.D.S., is one of the America's top dentists. Called "One-Stop Dental Perfection" by New York Magazine, Dr. Linhart has mastered the most challenging cosmetic and surgical dental procedures, including porcelain laminate veneers and laser whitening. This Park Avenue dental office ensures you of a pleasurable, stress-free experience. Step into this office to experience a once in a lifetime dental experience. The New York State Dental Association is a professional organization supporting more than 13,000 dentists in New York State. Members have special access to clinical, education and business resources. NYSDA is one of the largest state constituents of the American Dental Association, and is dedicated to ensuring the highest standards of dental care for the State of New York. Park South Dentistry was recently recognized as one of "America's Top Dentists" according to Consumer Research Council of America. Using the newest techniques and state-of-the-art materials, teeth are restored so they can function properly and painlessly. Get holistic solutions and non-metallic restorative options. Whether you would like to have your silver fillings replaced with white fillings, or need a broken tooth reconstructed, Park South Dentistry offers durable and cosmetic restorative options. Are you ready to brighten your smile? Contact Dr. Schwartz's cosmetic dentist office, where they have the experience and knowledge to improve your smile, and they are ready to provide you with quality dental care. Robert I Schwartz DMD, phone (212) 541-9500. Located at 200 Central Park South, Suite 212 in New York City, phone (212) 541-9500. Meet the dentist, and get a complimentary cosmetic consultation or dental examination if you mention www.nysmile.com. Quality care for cosmetic dentistry, implants and general dentistry. Make an appointment and then smile. The AAPD is the membership organization representing the specialty of pediatric dentistry. Their 6,400 members serve as primary care providers for millions of children from infancy through adolescence. Offering pediatric dentistry, childrens dental care, adolescent dental care, infant dental care, childrens dental health, pediatric dentist search and preventive oral health. This webiste details AAPD policies and guidelines, the latest news and info. Offering a variety of restorative and preventive dental services, each designed to extend the life of your teeth and total dental health. In order to provide you with dental care that can enhance the quality of your life, Manhattan Dental Spa offers you complete dental care in one convenient location. ADA, the American Dental Association provides professional and public resources. 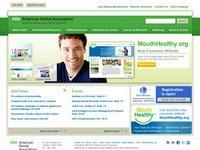 You can utilize this website to find a dentist in your area. Read news and learn about events. Use the member directory to find an ADA member dentist. The ADA is America's leading advocate for oral health advocacy. Find answers to your questions about insurance, legislation and policies, mouthguards, root canal treatment and more on this outstanding site.